Just a few hundred meters away from the Bayon within the Angkor Thom city enclosure lies the Baphuon. 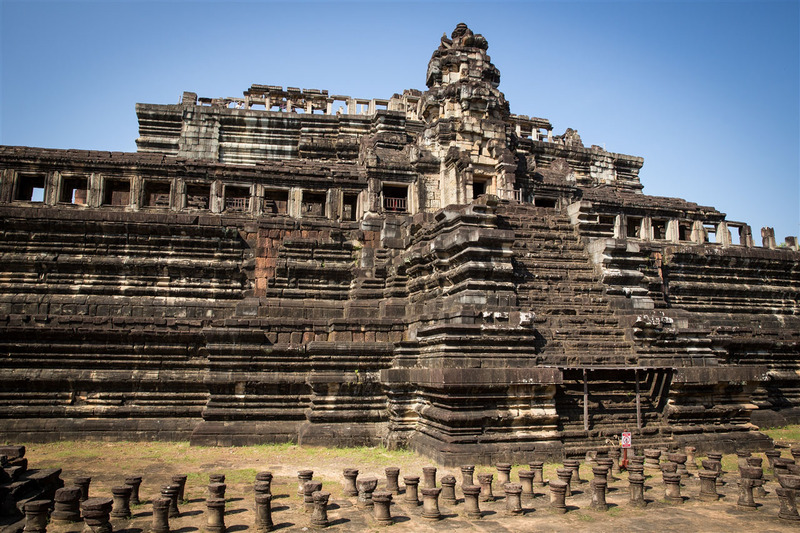 It was built in the 11th century by king Udayadityavarman II as a state temple, dedicated to the Hindu god Shiva. 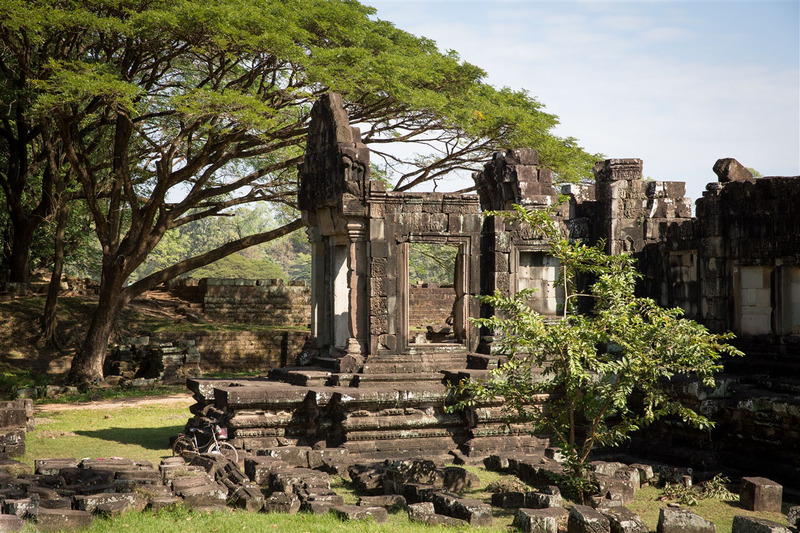 The Baphuon had largely collapsed by the turn of the 20th century, and numerous attempts to restore it have been problematic to say the least. The first attempt was made in 1960 but efforts were abandoned as the Khmer Rouge regime got a grip on the country, at this point all records of the positions of the stones was lost. A second restoration attempt started in 1995 led by a team of French archaeologists. Without the records of what stones came from where, they effectively had the worlds largest jigsaw puzzle to figure out. The $8M restoration was finally complete in April 2011. The temple now has three tiers, rising to a height of 34m. Originally there were five tiers which must have made for a far more imposing structure than what you see today. 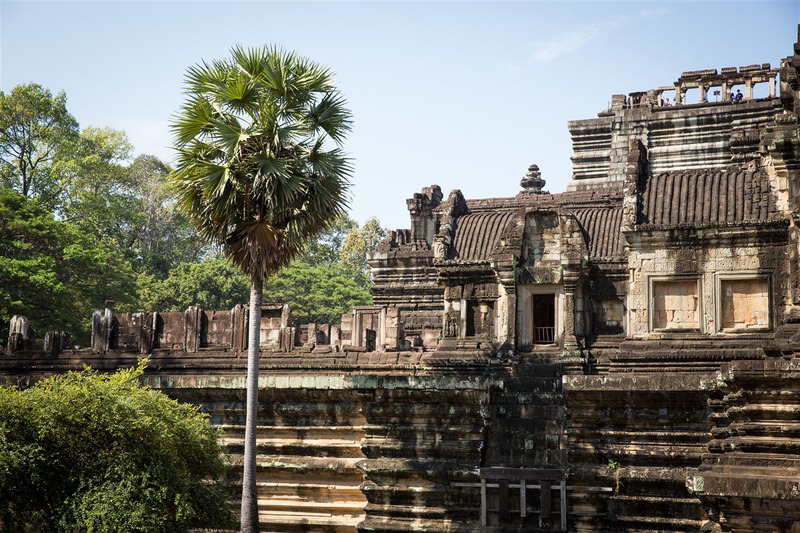 There are records dating back to the 13th century quoting a Chinese envoy visiting Angkor, describing the temple as “the Tower of Bronze, .a truly astonishing spectacle, with more than ten chambers at its base”. 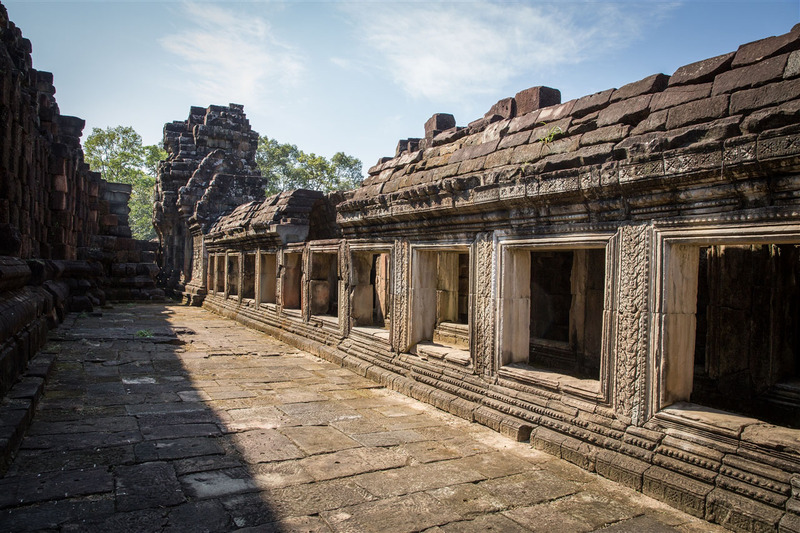 In the late 15th century, the Baphuon was converted to a Buddhist temple. This may explain why the upper two tiers of the temple are missing, as on the second level of the west side of the temple you will see something that you probably weren’t expecting. Although difficult to make out, here is a 70m long statue of a reclining Buddha, the masonry used to construct this most likely came from the top of the earlier Hindu temple. 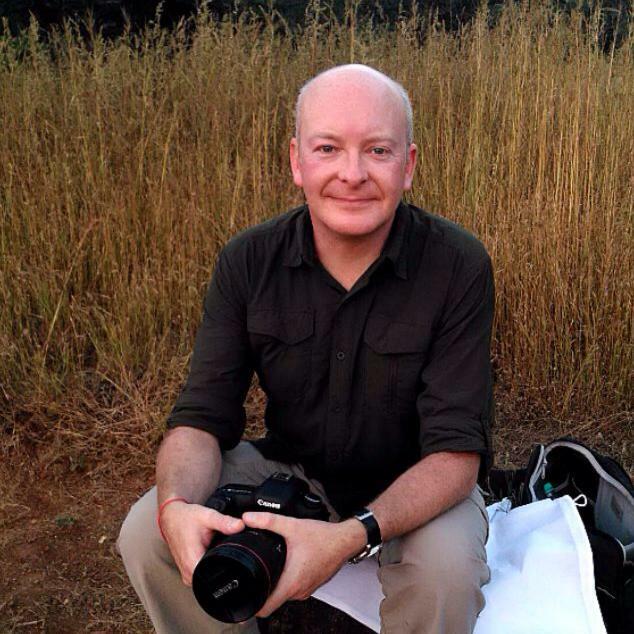 The photo below shows just the head and neck, which hopefully you can make out. 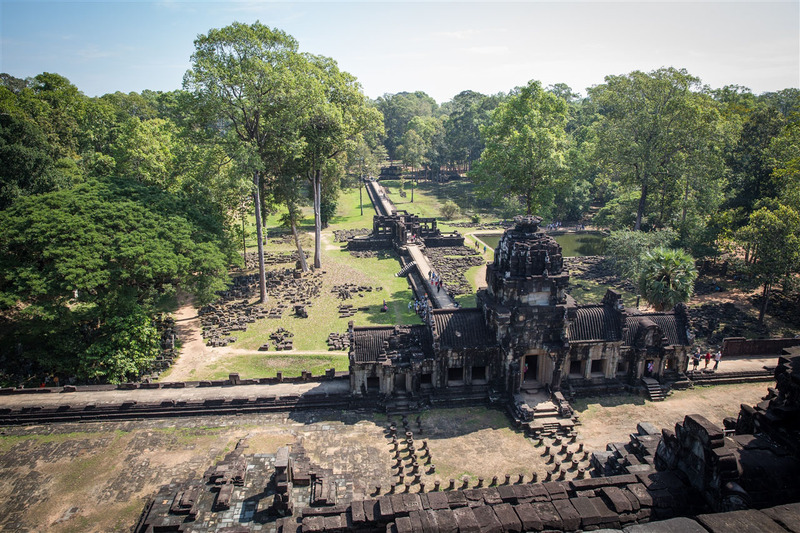 Although not the most impressive of sites at Angkor, the Baphuon is close enough to the Bayon to warrant the 10 minute walk to see it, especially for the reclining Buddha that is quite unlike anything else you will see during your days here.